We are a full service construction firm. 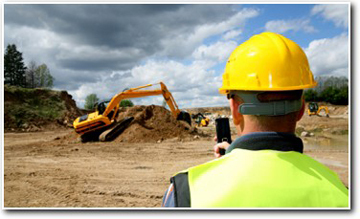 We are proficient and able to executing all aspects of any site development project including turn-key pre-construction services, starting at project design, planning, engineering, value engineering, coordination with the utilities companies, soft cost budgeting , scheduling and permitting; but not limited to, the blasting and excavation of lakes, installation of pipelines for water, sewer and storm drainage systems, as well as the installation of sewage lift stations, asphalt, curbing, sidewalk, guardrail, pavement markings and signage. Our sub-contractors have the newest heavy construction equipment available, consisting of bulldozers, motor graders, backhoes, combinations, loaders, excavators, draglines and dump trucks. Our support will help you sustain control of your projects saving you time and money.